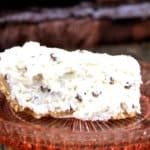 This recipe for no bake cannoli filling pie is an easy way to get the flavors of the cannoli that you find in the bakery without the fuss! 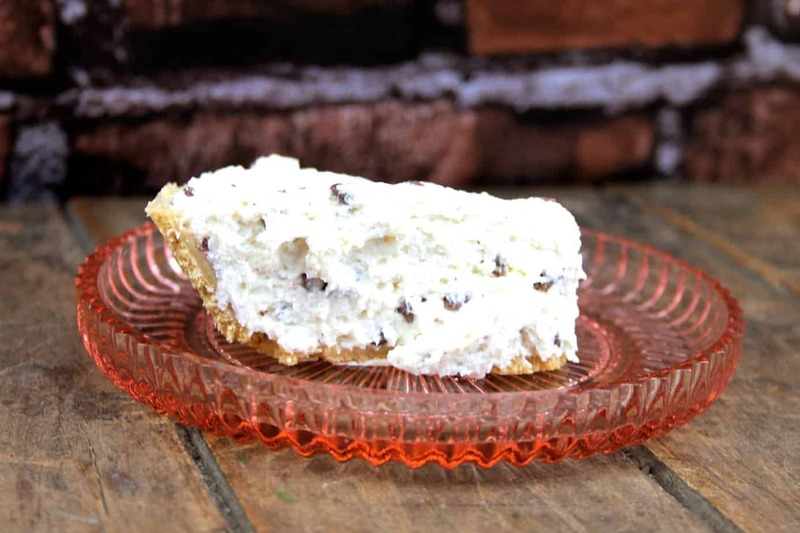 This recipe uses ricotta cheese and cream cheese and is delicious. 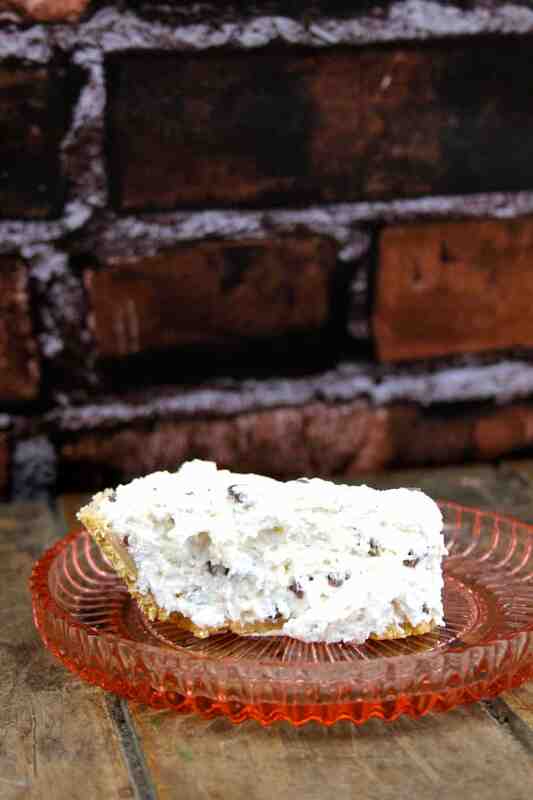 If you love cannoli but do not enjoy the outer shell like me, this pie is for you. 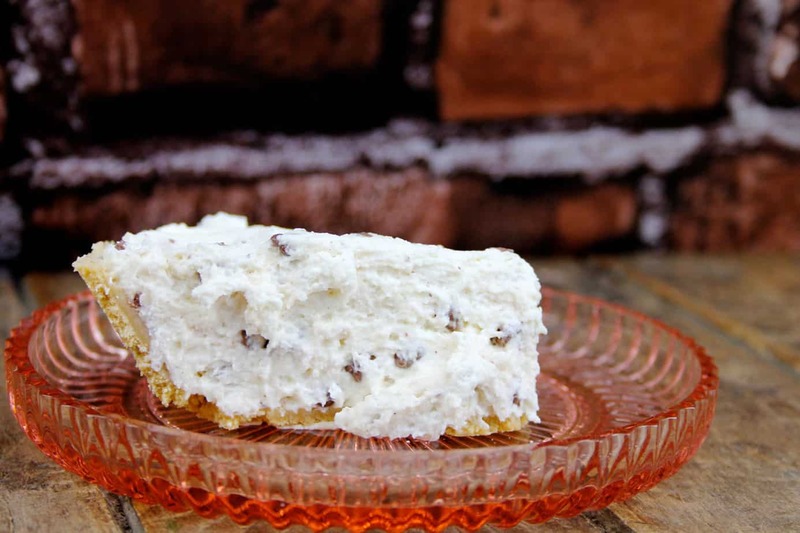 It is just the delicious and rich creamy filling housed in a graham cracker pie crust. 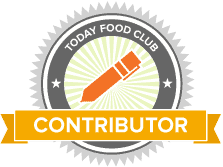 So easy to make and delicious to enjoy without the hassle of baking. Add in the heavy cream and beat on high until thick and soft peaks form. Reduce speed and add the vanilla, ricotta, sugar, and cinnamon until smooth. Fold in the chocolate chips and spread into the graham cracker crust. 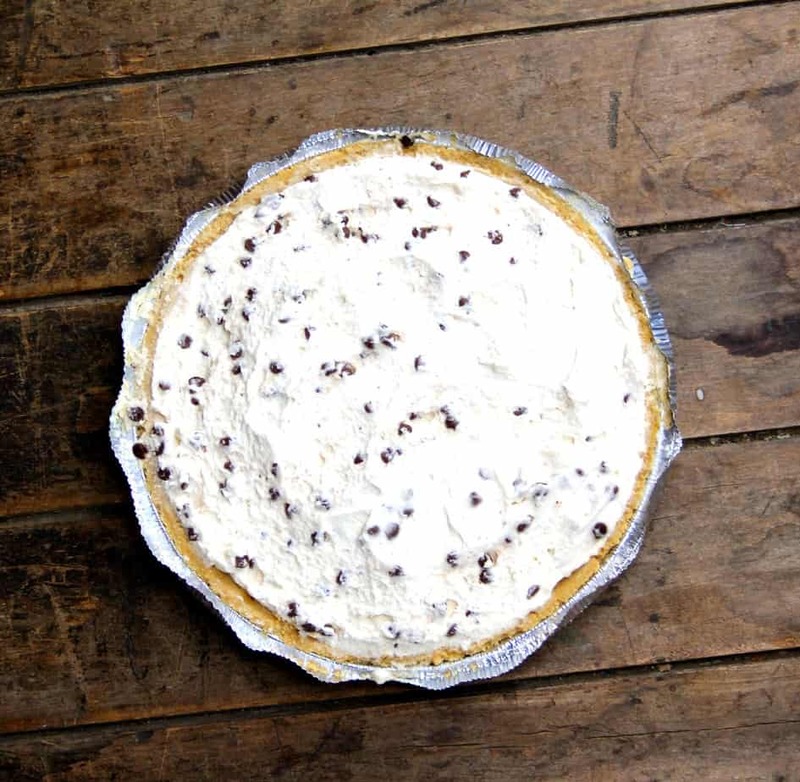 This pie is not only delicious but so easy to make. I love making cannoli filling with whole milk ricotta cheese, it has the perfect consistency when blended with the cream cheese for a rich and creamy filling. I love all types of Italian desserts and this is one of my favorites.